There are a number of ways you can get involved with Show Racism the Red Card. Visit a section below to find out more. 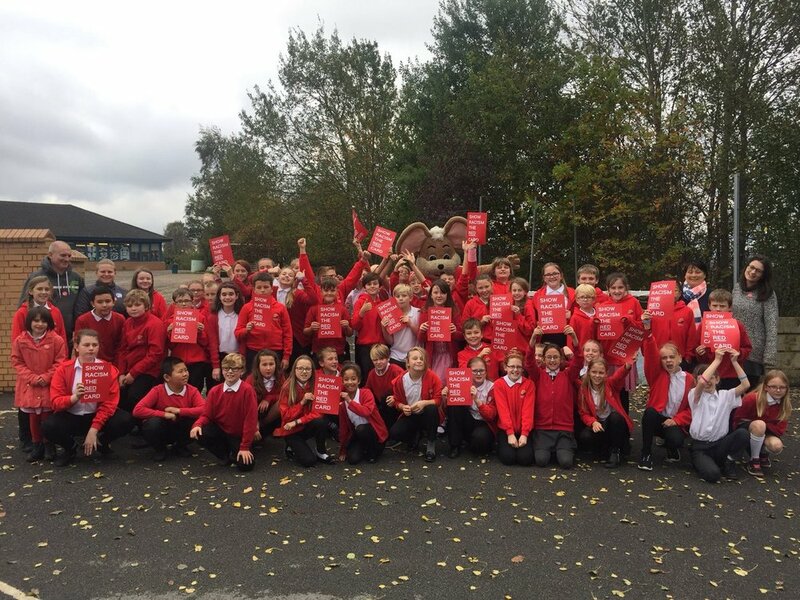 Each October we hold a national fundraising day across the Uk for schools, organisations and individuals to show their support for anti-racism and raise valuable funds for our charity. There are a range of ways in which clubs can get involved from holding an educational club event to producing an anti-racism team poster. October is our Month of Action in Wales and Scotland where clubs participate in match day actions as part of the FARE action weeks. Any club can "join in" with the action weeks to show their support against racism in football. 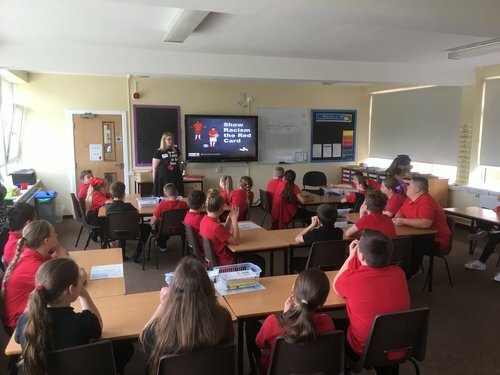 Schools can book our educational teams across the UK to visit their school to deliver anti-racism educational workshops. Our team can visit your school to deliver a range of educational workshops as part of our teacher training program. Each year we run a national competition across the UK where young people can enter a range of categories creating artwork, media and creative writing. The competition is free to enter and young people will have the opportunity to attend a national awards ceremony to receive some amazing prizes. Trade Unions can get involved in a number of ways. Please get in touch to discuss how your Union can get involved. For an example of a Union we have worked with click on the button below. There are many ways to get involved and volunteer. Get in touch with one of our teams across the UK for more informaiton. There are a number of ways you can get involved and fundraise for us at school or work from taking on a challenge to having a bake sale. You can even just make a one off donation today! Find out more ways you can fundraise by clicking on the button below. Find out if we have any opportunities to join our team across the UK.